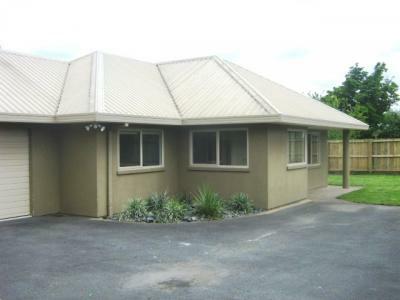 3 bedroom home with double garage internal access. Modern modular kitchen with dishwasher and rangehood, gas cooking. Heat pump. Bathroom has a bath and seperate shower, seperate toilet. Fully fenced. set back off road. Fully. insulated. New carpet.